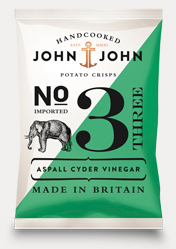 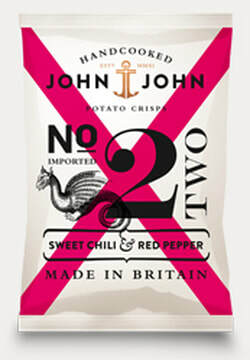 German company Market Grounds launched the English Crisp brand “John & John” in October 2011. 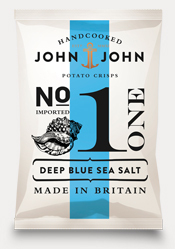 This is how they present the company on their website. 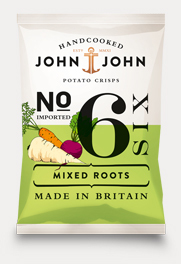 John the adventurer, who had already sailed half-way around the world and down-to-earth John, preferring to stay close to his potato fields with his two feet planted firmly on the ground. 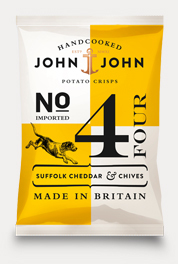 The manufacturers are presumably conjuring up imagery, and continue by discussing a romantic pub in a small town at the northwest coast of England right next to the Irish Sea and why their English Crisps from English potatoes are great. 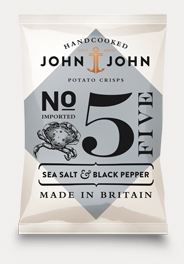 It's all marketing speak, but their branding is good. Especially as you are left in no doubt that they are English Crisps, which opens up another market for what were initially intended for their German market.